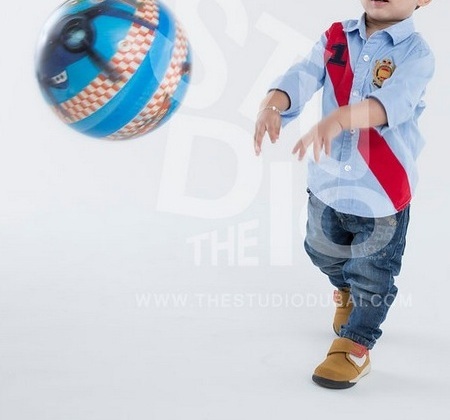 We have a TON of photographss of Baby Z. More than a zillion. 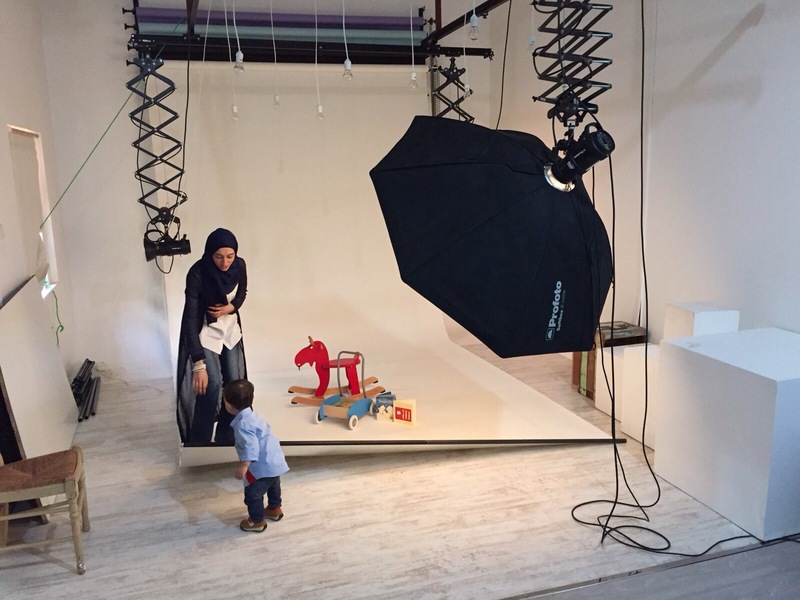 We are always clicking away, capturing little snippets and cheeky grins of Baby Z on camera. However, photos including all three of us (Mr Z, Baby Z and I) are few and far between. 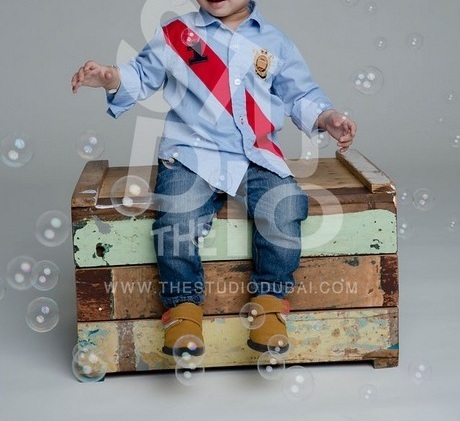 That is why when The Studio Dubai were kind enough to offer us a family photo shoot, I was ecstatic. The last professional photo shoot that Mr Z and I starred in was on our wedding day two years ago, lugging around my embellished Indian wedding lhenga whilst tip toeing on my red stilettos. Boy was that quite an experience. Baby Z on the other hand, has not had a professional photo shoot at all, so to be honest we didn’t really know what to expect. The only thing we were determined to do was to have fun…and that we did! As we walked into The Studio, tucked away into the corner of the Courtyard Building in Dubai, we were soon able to witness the clean and friendly environment. Whilst we waited for our appointment, there were plenty of photo books to keep us busy and as I scrolled through images of family photos, trying to get ideas on how to pose best, Baby Z worked his way through the entire library of children’s books. Happy Baby, happy parents. Our photographer for the hour was the lovely and bubbly Nikka who was excellent at making us feel comfortable right from the start. 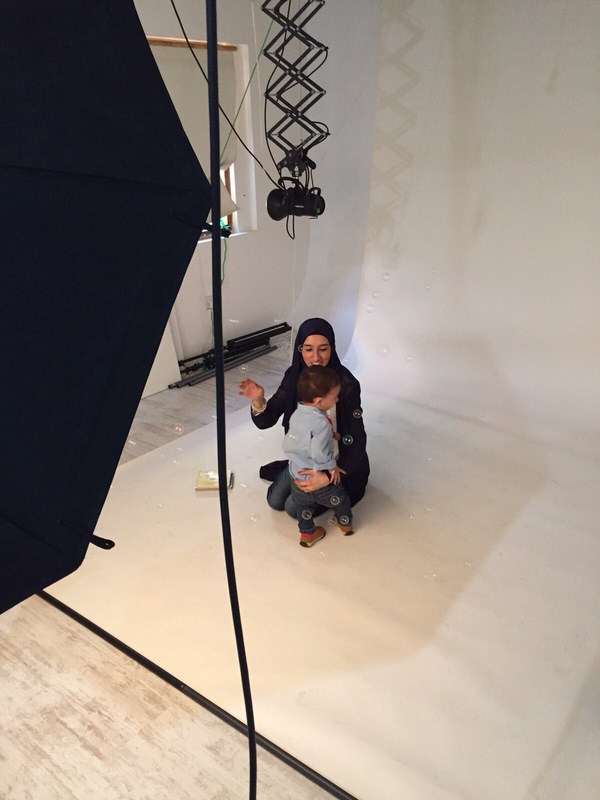 The photo shoot itself was very enjoyable, though I was not prepared for how mentally draining it can be with a toddler. Though Baby Z is normally quite the mischief making monkey in the comfort of his own home, here in front of the camera he was awfully shy, and myself, Nikka and Mr Z did our absolute best to get him smiling and laughing. The bubble machine worked an absolute treat to accomplish this! 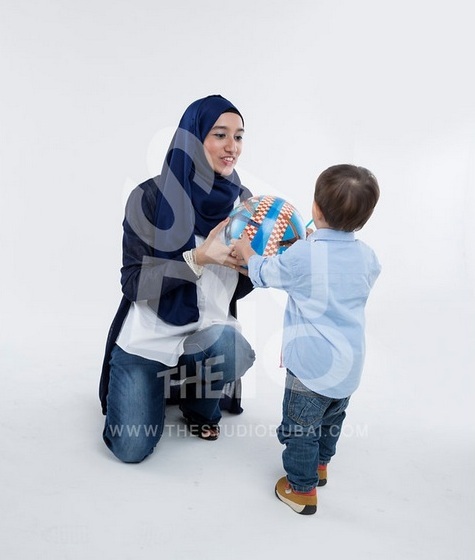 Nikka was very helpful in suggesting different poses, whilst interacting with Baby Z at the same time, and we all did have quite a laugh, especially when all Baby Z wanted to do was play with his football. I received the preview of our photos soon after by email, and I must say I was taken aback by the brilliant quality of the photographs, even though very minimal editing had been done. Mr Z and I were so chuffed at the results, and are sure that these photographic memories will be cherished forever. 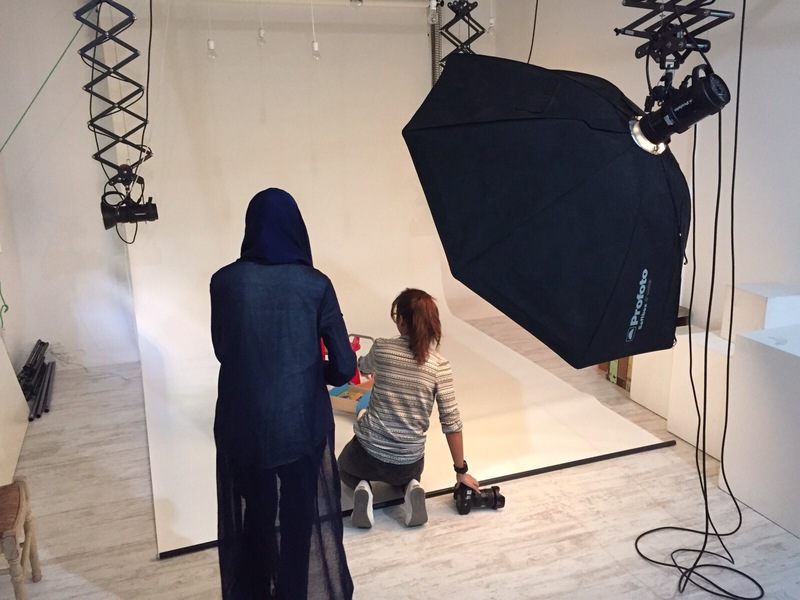 I would most definitely recommend The Studio Dubai for their friendly and enthusiastic nature, accompanied by outstanding results that can be treasured for years to come. 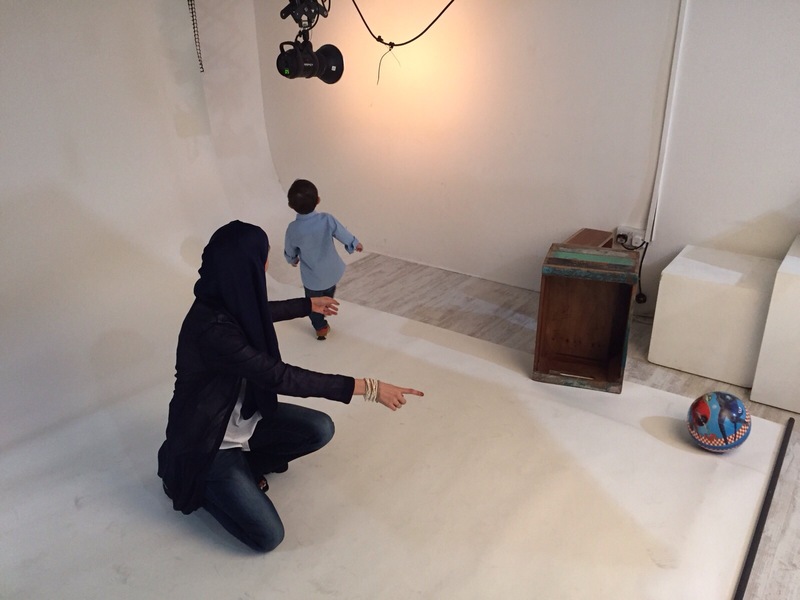 Below are a few “Behind the scene” photos for the shoot, were you can mainly see me scrambling to grab Baby Z’s attention with various items. Considering what you witness in the below pieces of evidence, I am rather happy with the results! 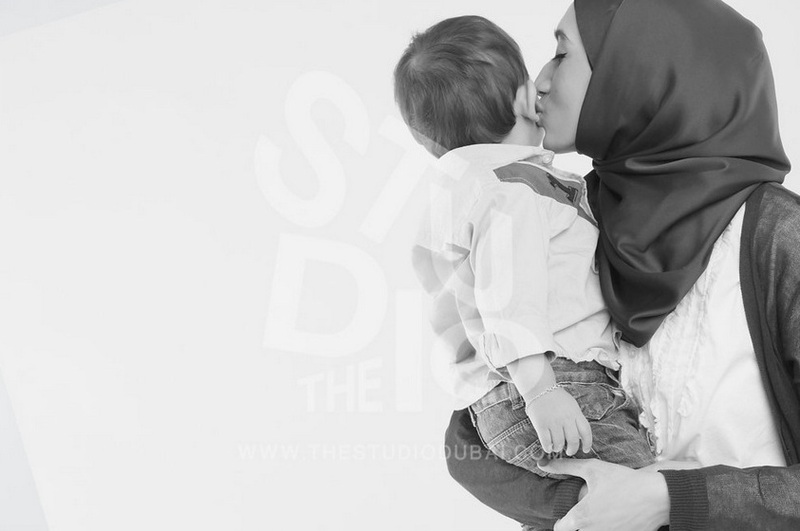 If you would like to know more about The Studio Dubai, head on over to their website www.thestudiodubai.com , or check them out on Instagram, Twitter and Facebook. Note: This review was paid for by The Studio Dubai, however all opinions expressed in this post are honest and only my own. 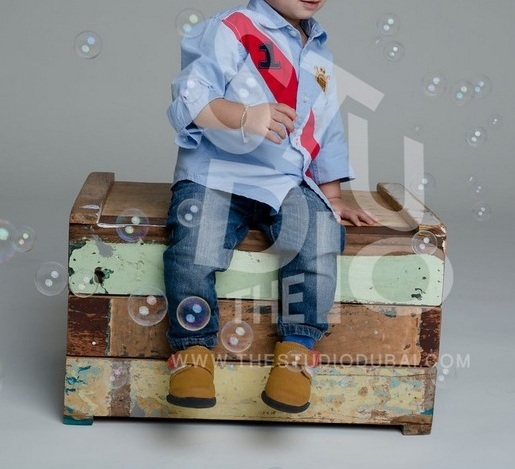 All photographs with the company watermark belong to The Studio Dubai, whilst all the “behind the scenes” photos belong to MummyOnMyMind.